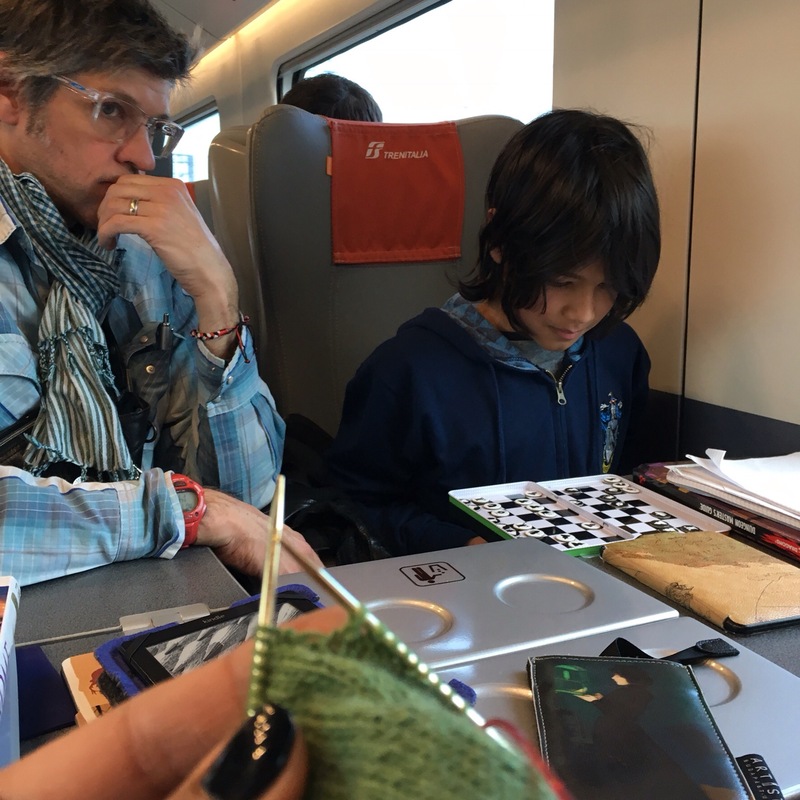 Our first Italian train was from Milan to Rome, on the excellent Freciarossa. Clean, modern and fast, we made the trip in just under four hours. A friendly taxi driver took us to our Air BnB, this time centrally located just next to the Pantheon. Eric and I left the kids at the flat and walked about the streets, which are charming everywhere you go. Narrow cobblestoned pathways with small shops and restaurants around every corner. Every few streets they would open up into a plaza with a statue or obelisk of some sort. We figured the kids could use a little more time alone, so we stopped in for a few glasses at the wine bar across the way. Alex, the host at the wine bar was affable and knowledgeable about different types of Italian wines and brought us a few to try. He then told us about a wine called “Amarone,” and said that it was one of the richest and tastiest red wines they had, but only to be had at the end of the evening else one’s palate would be spoiled. After a couple glasses of other reds, we had a small taste and thought it was delicious, so asked for a glass. Alex hesitated a bit and said, “A glass? You are sure?” Yes, we’ll split one, we replied. The glass came and was shared, and it was entirely delicious. What was not delicious was our check which came to near 70 Euros. We went back the next day and learned that a glass of Amarone cost 30 Euro! We’ve seen bottles for sale elsewhere that are around 300 euro, so it’s just a very expensive wine overall. Well, at least it was tasty and honestly, had I known the cost I never would have ordered it, but can now say I’ve had $300 wine! The next day was planned by the boy. I’ve found that the kids do well with travel planning but need a real map and book to do so, which were kindly lent to us by our friend Rob. 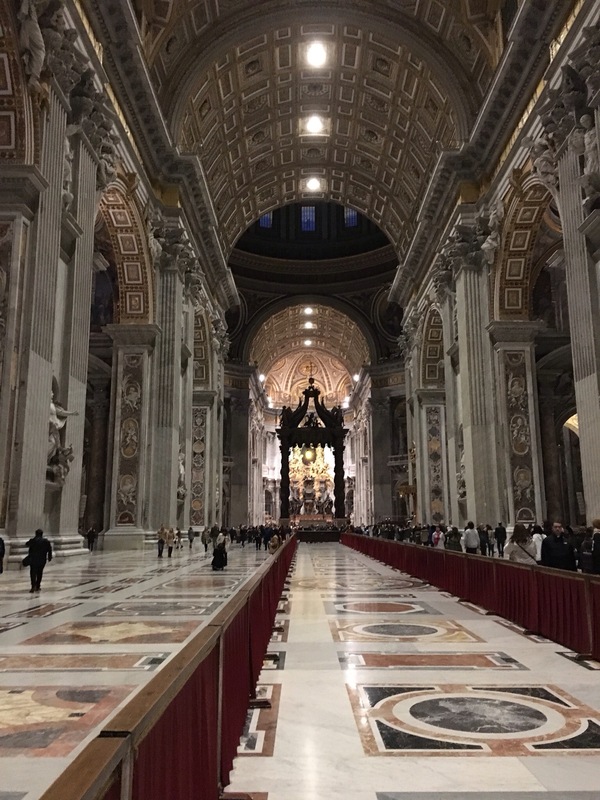 The plan was to walk south to see the old city wall, and then follow it westward to the Vatican to see St. Peter’s cathedral and the Sistine chapel. We committed to not using our phones to navigate, only maps and street signs. We quickly learned that the signs in Rome may leave out some critical turns, and we got a bit lost! We started just asking people ways to known landmarks. 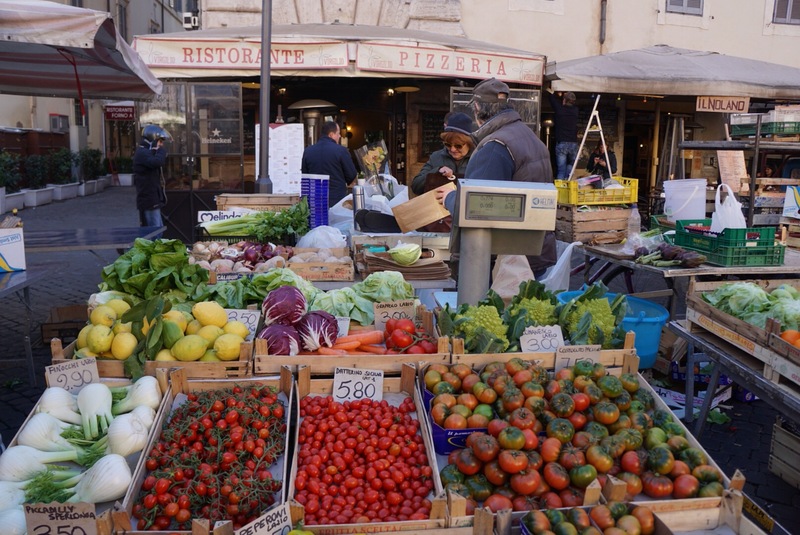 Our first stop was the Campo de Fiori, a former flower field now the site of a bustling market. We arrived with anticipation, perhaps we would pick up some fruit and cheese for a snack, and found the plaza entirely deserted. The boy asked a local vendor, “Scuza, where is the market?”and we learned that on Tuesdays, the market is closed. Ah. 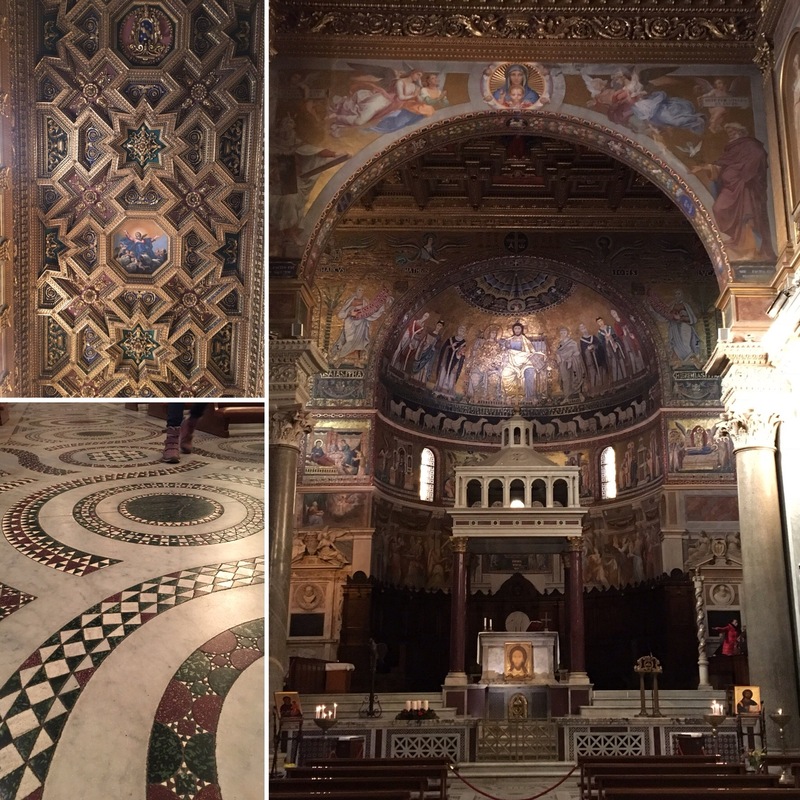 We found the church of Santa Maria and popped i to enjoy the detailed stone flooring and gilt ceiling work. Onwards south we went, through narrow winding lanes that climbed upwards. Worried we were getting lost and the path to the Vatican the boy had planned was unreasonably long, we stopped at a corner to catch our breath and consult the map. We had just decided to descend when two friendly walkers came upon us and asked if we needed help. They told us that our initial plan was actually a lovely walk, and if we made it up to the top we could see the firing of the noon cannon. 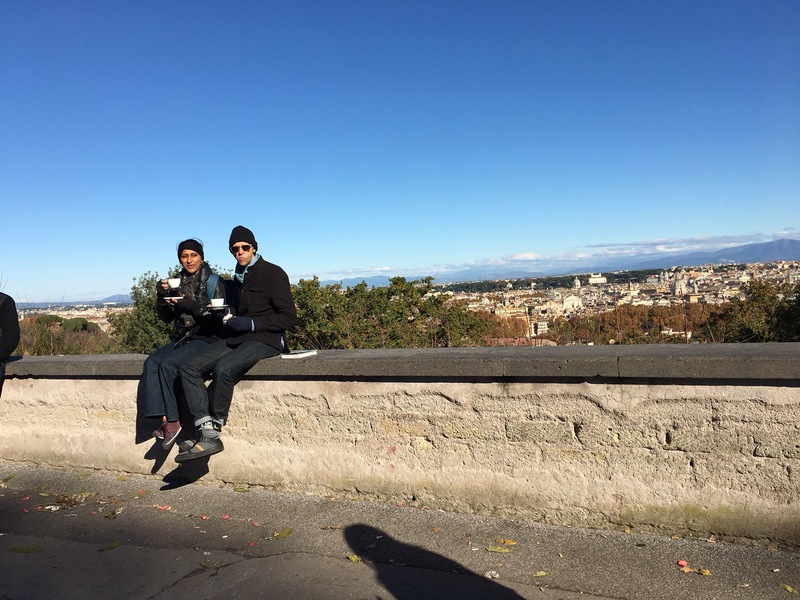 So we continued on, Eric yelling at the girl periodically to stay out of the way of oncoming traffic, and found ourselves at the plaza Garibaldi overlooking all of Rome. Eric and I had a cappuccino whille awaiting the cannon fire. Once my eardrums stopped echoing after the blast, we went down the other side of the hill, found a simple lunch place and then headed to the Vatican. 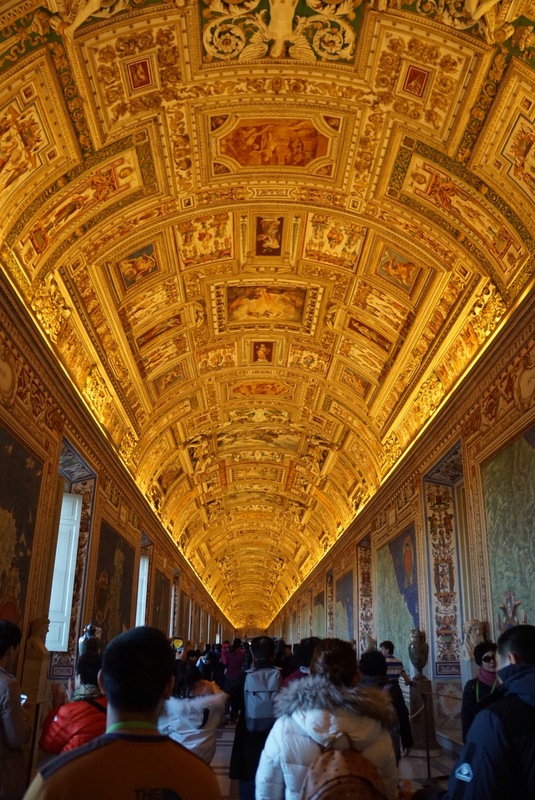 The museums of the Vatican are massive, and contain room upon room of antiquities Greek and Roman. Every room is decorated with opulent gilding on the doors, the ceilings with elaborate paintings, and the overall effect is rather overwhelming. I think I’m supposed to be awed, but mostly it makes me think of the extravagance and wealth of the Catholic church, and how it seems hypocritical given that there’s something about rich men and camels and needles in the Bible, but what do I know. 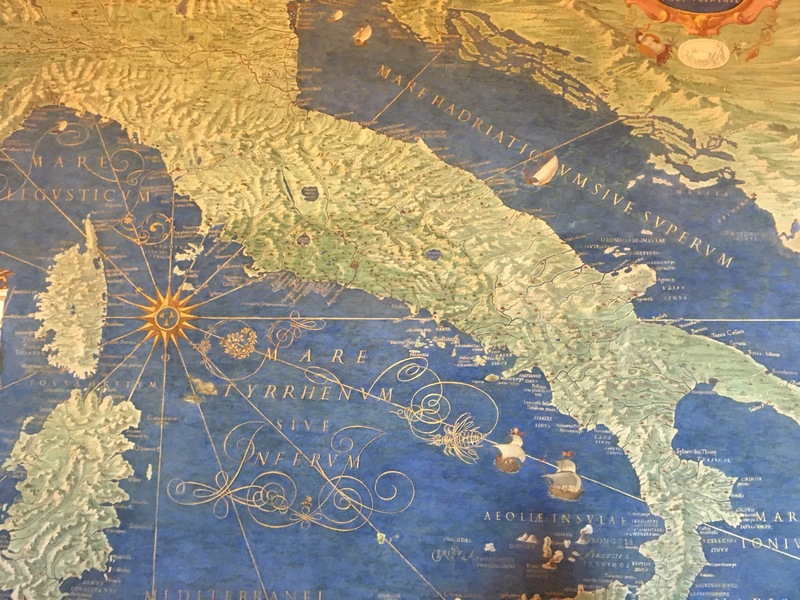 By far our favorite was “The map room,” a long hall with frescoed maps on either side. The Sistine chapel is truly beautiful – no pictures allowed inside. We’ve all seen the closeup shot of Adam and God, but I didn’t know that the entire rest of the chapel is decorated with frescoes as well. Michelangelo did a series of them telling the story of Creation, each more detailed than the last. One wall is a bright fresco of the Last Judgement, demons and hell in grotesque details that was truly shocking for the time. 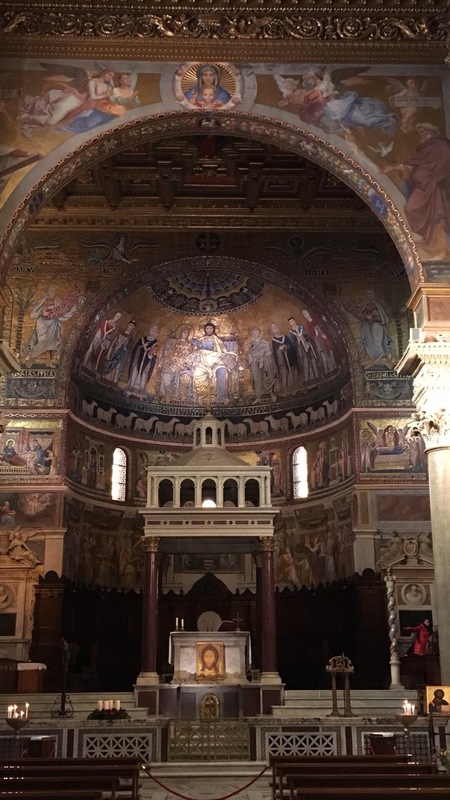 His painting was, in a way, a rebuke of the church’s control and an expression of artistic freedom- he had been hired to paint pictures of Popes and saints, and instead used his art to depict something quite different, to tell the story of God instead of painting hagiographies of Popes past. Our feet were quite tired by the end of this, and my phone pedometer told me we’d walked eight miles already. 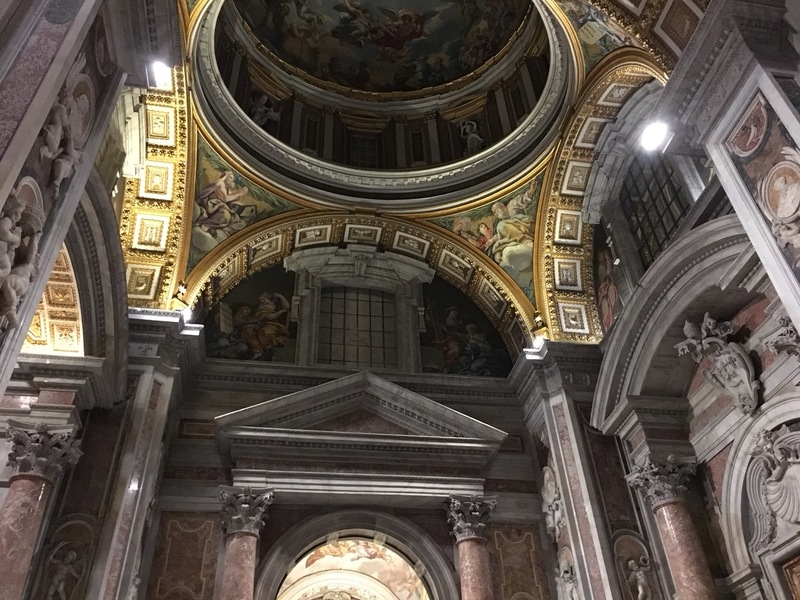 One last stop at St. Peter’s Cathedral, the largest church in the world. It was time for vespers and the choral singing lent a hallowed air to the cathedral, though again, it’s hard for me not to feel a sense of overdoneness with all of the grand churches. The reverent purpose of the church is also lost on the girl, who exited Vatican city and came up with this sacrilegious joke: “What’s Jesus’ least favorite letter? A T!” We shushed her and told her not to say it too loudly, at least until we were out of hearing range of the Pope. Our next day was another big touring day, this time with a later start. We walked down to the Colosseum, excited to see the grand spectacle. One advantage of travelling in the off season is that there are no lines to get into any of the main tourist sites in Italy, as opposed to summer where you could end up waiting three to four hours just to get a ticket. We really had wanted to do the extra tour where you could see the upper level and the basement, but when I went to purchase, the ticket seller said, “All English tours are sold out for today. There is a Spanish tour at 1 and two Italian tours in the afternoon.” Eric and I looked at each other, shrugged, turning the corners of our mouths downward in a “what the hell” expression, and signed up for the Spanish tour. Between the two of us, I figured we’d have enough Spanish to figure it out. The kids were free for both entry and the tour, so it wasn’t a big loss on that end. We entered at first to the grand arena, thinking of the brutality that occurred there, imagining tens of thousands of Romans cheering and jeering a bloodbath below. It was time for our tour and we hurried off. Our tour guide was an animated young man, and more often than not we were grateful for the hand gestures to help us understand what he was saying. I mean, I can get myself through a train station and even a hospital in Spanish, but understanding a tour about the construction of Ancient Rome is another thing. 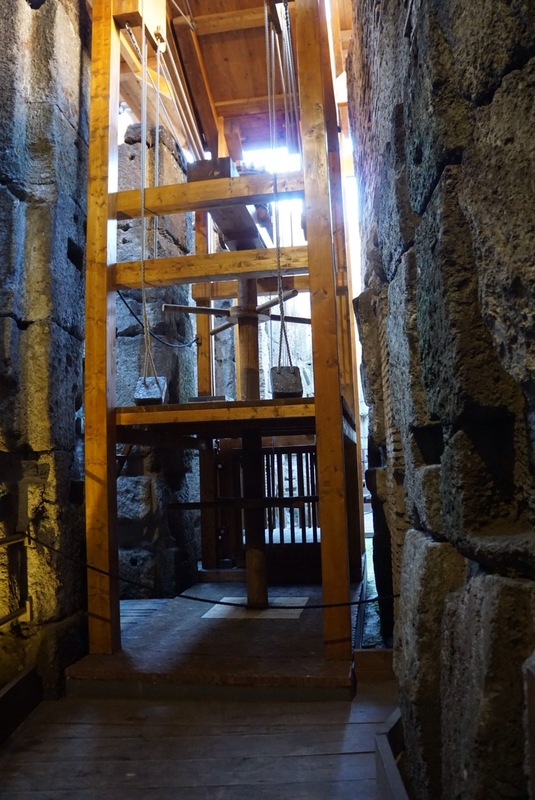 The Hypogeum, or basement, was really interesting – the old stones and a reconstructed wooden contraption to show how animals and props were brought out onto the stage from below, a water gutter as well for drainage. 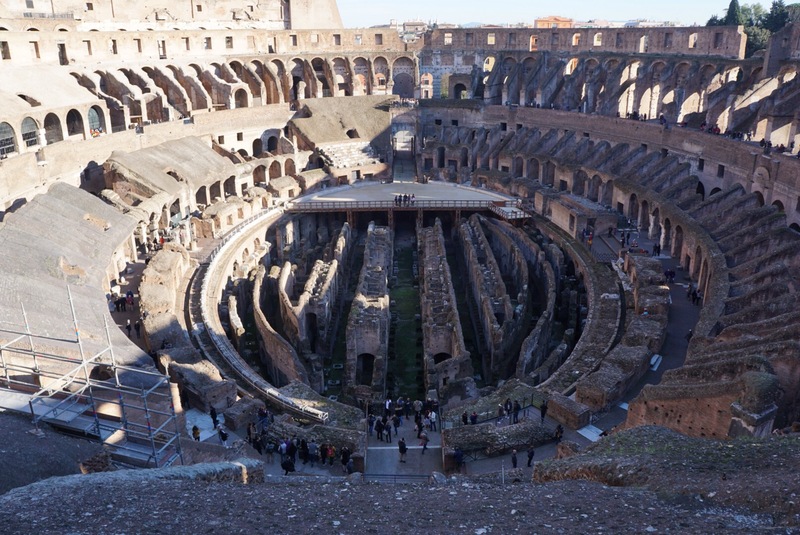 Fun fact: before the basement was constructed, the floor of the Colosseum was solid enough that they would fill it with water for aquatic competitions! Boats would be floated in and grand maritime battles were staged, all in the space of the arena. 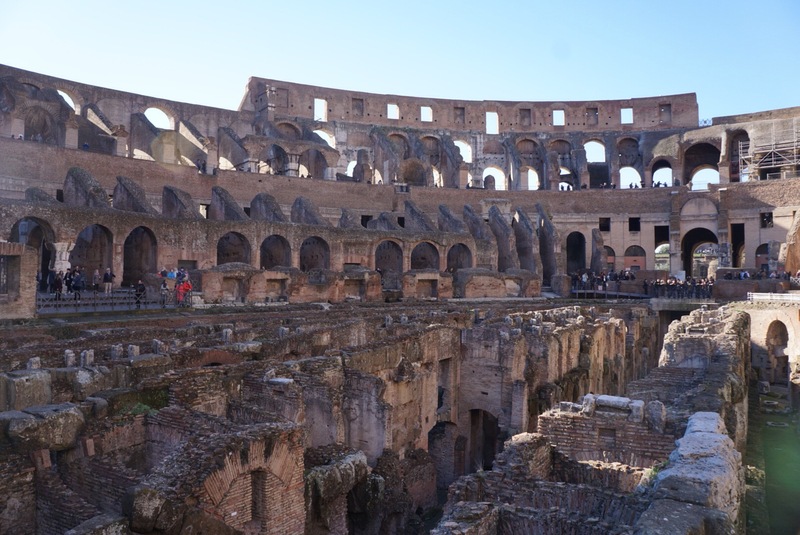 Much of the Colosseum was made out of valuable marble and travertine, all of which were stripped away for use in other buildings when the arena fell into disuse, leaving only the stone foundations. Our tour guide kept talking about huevos… huevos this huevos that. Eric and I wondered what it was about eggs that was so important to ancient Romans. Perhaps it was a slang word for something that we weren’t quite getting, I mean there were a lot of male gladiators. Near the end of the tour, I realized he was saying “juegos”! Aha! Games!! Given this, I think we probably got about 40-50% of the tour, though I’m not sure if I understood him correctly when he talked about the ancient audience taking pictures and tweeting about the fights. Every now and then I’d stop to translate for the kids, sure that it was something like a game of Telephone,, where little of the original information reaches the final recipient. 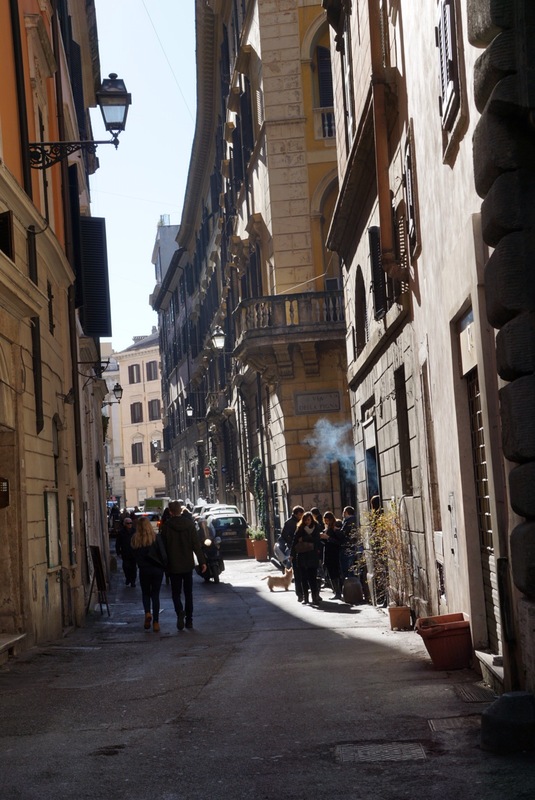 Our last day in Rome was one of wandering and souvenir shopping, more meandering the small streets. Campo de Fiori was operational, and we picked up fresh tomatoes, cheese, pesto and some bread for lunch. 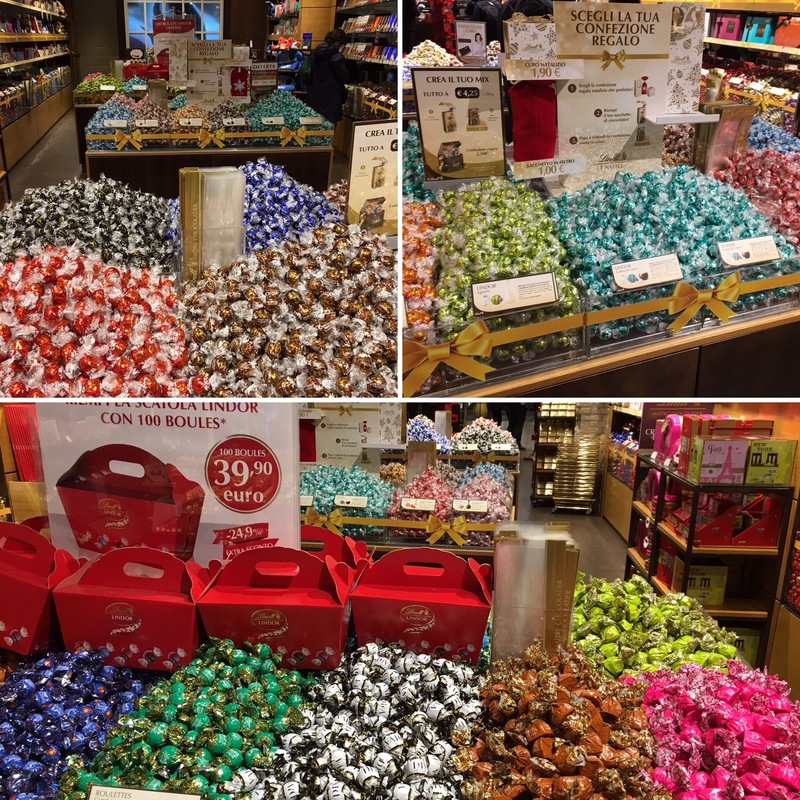 We found our way past the Trevi fountain again, then onto the Spanish steps and an easy stroll back home, not before stopping at the magical, magical place that is the Lindt store. Bins and bins of chocolate truffles in whatever flavor your heart may desire. My heart desired almost all of them, except for cherry because that is revolting. In the morning, we had one last stop at the Pantheon, the boy’s favorite place to visit, before heading out to Venice. Imagine, a building that is 2,000 years old, still standing and in use as a worship site as per its initial intention.